Simple Project at the best price. 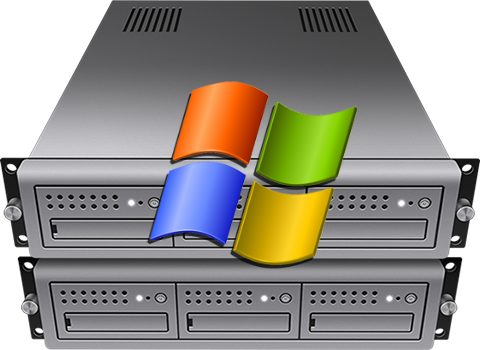 Our best seller Windows VPS package. All virtual servers come with a comprehensive set of features and services— one of the industry’s best. With these features included at no additional cost, you can accelerate deployment and optimize your total cost of operations. AWindows VPS performs and executes exactly like a stand-alone dedicated server making it a perfect alternative to expensive dedicated servers. In addition, all our Windows VPS plans are loaded with features, allow you complete control, powerful, and flexibility that advanced users and businesses desire. While you’re helping our planet at the same time! Works like you have your own machine – powerful, affordable and includes a custom firewall, dedicated mail server and more control over security! As a result VPS hosting is a great fit for businesses expecting rapid growth, heavy website traffic or who run highly interactive and dynamic websites. At Anix Host we have always been passionate about offering the best possible service at a price point that is affordable for everyone. We take pride in being able to support small companies during their startup phase and offer them a fully managed solution without breaking the bank. We fully manage your VPS. We are always here ready to respond. We take care of anything from troubleshooting to installing general software. We monitor VPS accounts 24/7 and perform automatic updates, firewall configuration, and script installations. We want your VPS to be available all the time. Therefore, the entire infrastructure of our VPS is based on a sophisticated redundancy concept. And since we are convinced of this concept, we guarantee you an uptime over 99.9% on average. In which of our state-of-the-art data centres will your VPS be hosted? The U.S. or Europe, it’s your choice! No matter which one you choose, the price is always the same. You can now choose to have your VPS located in our Los Angeles, CA or Scranton, PA or Maidenhead, UK datacenter! What’s one of the major things that sets us away from most other VPS companies? Our servers! We feel to provide our customers the best service possible, we have to use the best hardware possible. That being said we don’t skimp on our servers. Our servers usually consist of high end 8 to 16 core processors, at least 12gb DDR3 1333 memory, and RAID-10 storage. You will notice the difference! Here at Anix Host we offer all VPS accounts R1Soft Continuous Data Protection services. R1Soft provides near-Continuous Backups, capable of providing hundreds of individual recovery points per day, scheduled as frequently as every 5 minutes. This ensures you always have a copy in case a client deletes something important. 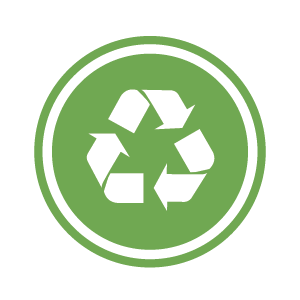 One of the main features that sets us apart from other VPS Hosting providers is that we are an eco-friendly company that uses nothing but green energy. Everything from our servers which are built with energy consumption in mind, to the recycling bins in our office, we take “green certified” to a whole new level. So take that extra step and host with a VPS Hosting provider that gives back to our planet, Anix Host! All of our servers feature RAID-10 storage which consist of 4 hard drives and can keep working without any data loss even if two of the HDDs fail to respond. This is your best protection against hard disk failures and protecting your data. RAID 10 servers significantly increase the read/write speed of data to and from the server by about 30% in comparison to a standard non RAID based server. At Anix Host we strive to deliver comprehensive hosting support services that include continuous provisioning and data center monitoring. Additionally, our staff is available all day and every day to respond to emails, reply to live chat messages, and monitor our ticket system to ensure clients are receiving the technical support they need. Your control panel is the core of your VPS Hosting. So when it came down to deciding what Viritualization software to use we had no doubt to use the ever growing and popular SolusVM. The reason we chose this software was because of its ease of use while still incorporating all the advanced features administrators require. To learn more about everything this control panel allows, click here. A huge concern is always intrusions, hacks, DDOS attacks and such that can occur to your VPS. A main feature of the control panel used to manage each VPS account is its high levels of security. With 7 different layers of authentication it makes it very difficult for non-authentic requestions to enter your VPS. On top of all this, we can install ServerGuard on your server which adds even more protection to your VPS. Unlike other hosts that may oversell their servers, we have strict SLA and policies in place so its impossible for us to oversell our servers. Once our servers hit 60% capacity we start putting accounts on a new server. This gives room for the current accounts plenty of room for growth. So when we say you will get 1024MB RAM, you will get all of that and nothing less!. Pricing / Plans $ 3.99 / mo. $ 5.56 / mo. $ 7.99 / mo. $ 8.99 / mo. $ 7.99 / mo. Do I get root access to my Managed VPS? Yes, you get full root access, which means you have full administrative control of your server. This means you have complete control of your server, and can choose to install any software you wish to install. Yes, our platform allows you to upgrade or downgrade instantly with zero downtime. You can scale on demand depending on your requirements. When will my VPS be ready once I’ve placed the order? All our Managed VPS servers are provisioned within 4-6 hours after we ave received your order. Your VPS is delivered to you fully optimized, configured and secured. Where is my VPS going to be hosted? We offer 3 locations to choose from, namely East Coast and West Coast US and London, UK. You can make this choice while you place your order. Can I add additional resources such as RAM, IP, Bandwidth to my VPS? Can I configure my own operating system with a Virtual Private Server? Yes you can, our servers can run several different virtualized operating systems on that one server. Each of these operating systems will perform as if it was on its own dedicated server, giving you all of the benefits at a fraction of the cost. While Dedicated Server Hosting offers isolated hardware, where resources such as disk input/output and host network connections are not shared, it also requires a significant upfront investment and a higher level of technical capability to manage it. With VPS Hosting, you share a server with other customers, but remain isolated from those other users on the server. With Virtual Private Server Hosting you are granted your own section of a partitioned dedicated server with a guaranteed threshold of dedicated RAM, storage and bandwidth and have the ability to customize this partition, much like a dedicated server. VPS Hosting provides a more cost-effective and scalable option for growing businesses when compared to Dedicated Server Hosting. On the other hand, with Shared Hosting you share a portion of the server with other users, potentially affecting your output if other users on the same server are experiencing high traffic. What can I do with VPS Hosting? As the stepping stone between Shared Hosting and a Dedicated Server, VPS Hosting provides a powerful, reliable and scalable hosting option for a myriad of different uses and applications. Whether you have a growing business, are looking to set up an online store, building a portfolio or wanting to set up unique applications, VPS Hosting is capable of supporting a number of different situations and configurations. Learn more about which VPS Hosting option is right for you! Is there a trial period or money back guarantee? We do not offer a trial period or money back guarantee. All billing is month to month if you are ever unsatisfied with our service you can cancel any time. Can I pay quarterly? Yearly? During the sign up process the option for a 1 year payment is available with a 10% discount. Additionally, a prepay can be made in your MY customer portal to keep a credit on your account. Available money in prepay will be deducted as your monthly invoices are generated. Prepaying does not offer any discounts on your monthly fee.